Nothing ground-breaking in this post – just jotting down some notes. An excellent deep technical explanation can be found here: Storage I/O Control Technical Overview and Considerations for Deployment. But if you’re satisfied with peanuts (which is all I gots), keep on reading. What is Storage I/O control? When you enable Storage I/O Control, ESXi monitors datastore latency and adjusts the I/O load sent to it, if datastore average latency exceeds the threshold. The sole purpose is to prevent any single VM from monopolizing a datastore. This feature is not enabled by default – but it’s a good idea to get around to understanding and enabling it. What is new regarding SOIC in 5.0? Storage I/O Control NFS support! 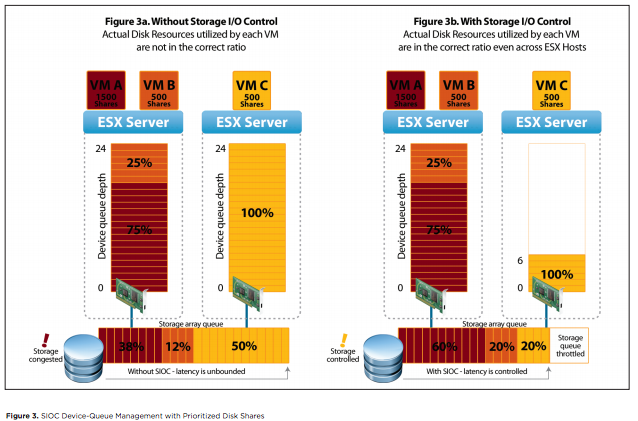 vSphere 5.0 extends Storage I/O Control to provide cluster-wide I/O shares and limits for NFS datastores. 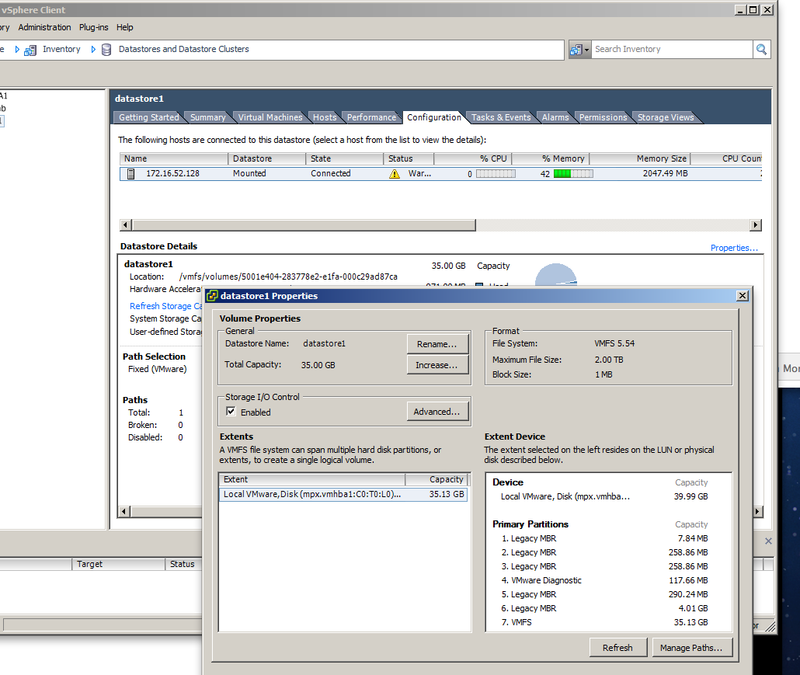 1 In the vSphere Client inventory, select a datastore and click the Configuration tab. 3 Under Storage I/O Control, select the Enabled check box. Click Advanced to edit the congestion threshold value for the datastore. The value must be between 10 and 100. You can click Reset to restore the congestion threshold setting to the default value (30 ms). And that’s all I got folks! Good nite! – vmware tech paper on SOIC.